The International Monetary Fund has reiterated how it feels about the Greece bailout: It's squarely behind it, but it believes strongly that Europe must do more to cut the country's debt. "I remain firmly of the view that Greece's debt has become unsustainable and that Greece cannot restore debt sustainability solely through actions on its own," IMF Managing Director Christine Lagarde said in a statement Friday night. Europe must "provide significant debt relief, well beyond what has been considered so far," she said. The IMF has consistently maintained that for Greece to recover, it will need more than fiscal reforms like pension cuts and tax increases. Lagarde's comments come after European finance ministers voted to approve a third bailout program which would provide more than 85 billion euros ($95 billion). The plan still needs approval from eurozone parliaments. 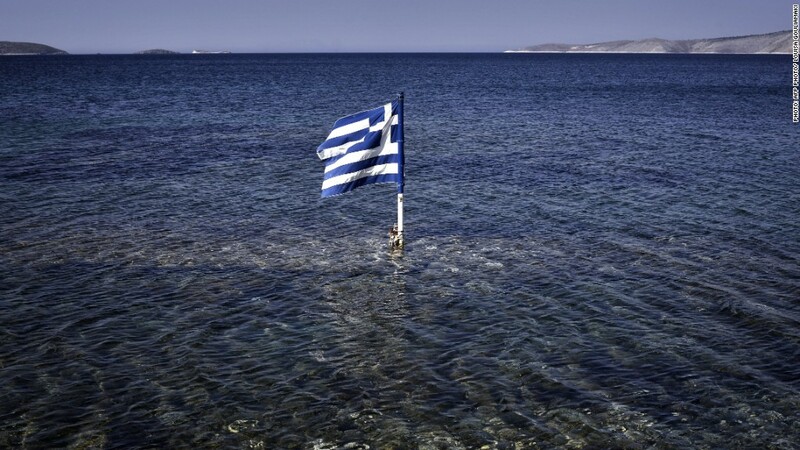 The IMF has said it will not participate in any bailout plan that doesn't include aggressive debt relief for Greece. The new bailout agreement was issued days before Greece nears yet another deadline. The debt stricken country has until Thursday to pay 3.2 billion euros ($3.5 billion) to the European Central Bank. This new relief program is being offered in addition to around 233 billion euros that European countries, the ECB and the IMF have already loaned to Greece. Greece's financial crisis, which has lasted more than five years, has hit the country's economy very hard. Unemployment remains above 25%. In June, manufacturing plunged to record low levels, as many companies struggled to pay for imports and operate normally.